Lovers of books about giant, human driven robots rejoice! Sylvain Neuvel has delivered a worthy and engaging sequel to his giant robot building debut Sleeping Giants. Waking Gods takes up the story ten years after the end of the first book – the giant robot Themis has become a promotional tool for the Earth Defence Corp and while individual countries would love to get their hands on it for themselves has stayed under the control of the UN. Mystery still surrounds the (SPOILER!) reappearance of scientist Rose Franklin, who is trying to deal with the fact that another version of herself was the one who got the project off the ground. Neuvel immediately shakes up the status quo with the appearance of another giant robot in the centre of London. This sets the second book up to be very different to the first. These new robots are as powerful as Themis and have a seemingly deadly intent. With Themis outnumbered and outgunned, Waking Gods becomes a race against time as the world tries to discover what these invaders want or destroy them before humanity is wiped out. Waking Gods is told in the same style as the first book – as a series of interviews and transcripts. Once again these are led by the shadowy unnamed figure who masterminded the Themis project and who is getting some advice from an alien living among us. But there are plenty of sections from other points of view including letters, news reports and diary entries. Neuvel has become more adept at this style and the action sequences work better in this volume than in Sleeping Giants. Waking Gods is a fantastic easter egg hunt for science fiction fans. Neuvel’s acknowledgements make it clear (although it is obvious from the text) that he is a big Star Wars fan. But Waking Gods also pays homage to the manga roots of giant robot stories with, among other references, a character named after much loved Japanese manga and anime series Evangelion (in which teenagers pilot giant robots against giant monsters). Waking Gods is not just a great book for manga fans, though, it is thoughtful, tense science fiction. Neuvel does not shy away from tragedy or consequences. Taking a leaf out of the George RR Martin playbook, it turns out that no one is safe. This adds to the tension and emotional heft to the narrative. 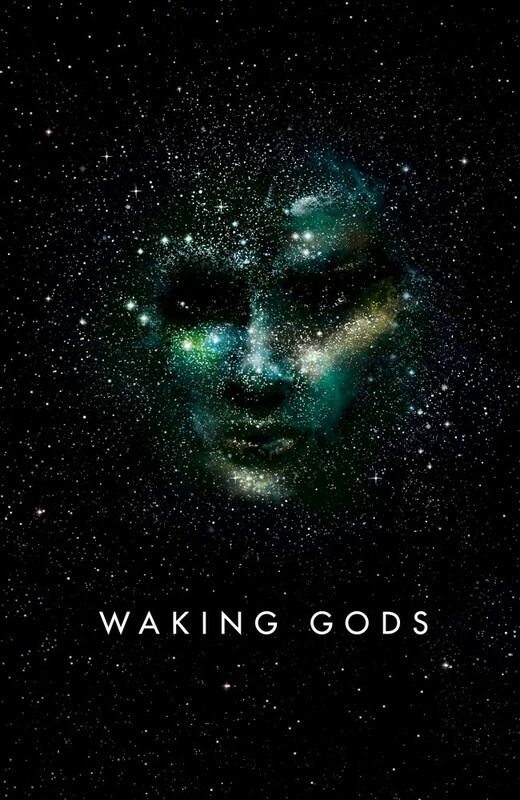 Waking Gods took the premise of Sleeping Giants in a new direction and the cliffhanger end of the book shows that Neuvel clearly has something different again planned for the next volume.